Family protection with a gun !? A good phrase, isn’t it? This is probably the least a woman would do for her husband in times of war. There is a war in our country and our men fight with the enemy or prepare themselves for combat, we do not wait for help from the government, we support the army and each one defends our country, in one way or another. It is hard to include something more important except clarifying that women are no less than men. It will be all over soon! So arming doesn’t matter! It’s not for women! Men should protect us! It will be all over soon! Really? Everyone wants the war to be over as soon as possible, but we can wish what we want, warmongers like criminals do not care. We have to understand that life has changed. We have to accept that in the past, present and likely the future our nation has faced conflicts, invasion & occupation from many others. And no one, neither Europe, nor America, nor the army or the police will protect you and your family during these times. And when the war ends as, what will happen? Will crime disappear? I doubt that very much. And when a thief breaks into my house, do I have to defend my children or myself with a washing machine or a hair dryer? Just over a year ago, I didn’t think about buying a gun. The main question was – what for? It is expensive, causes problems with registration and also a lot of additional problems and costs. I didn’t see any sense in gun ownership. But now there is a war in our country and a gun must be in every house. This is an axiom as now there is no need to prove it. Of course, men should protect us, for they are men, but there is a war in our own country! Who, in the absence of men, will protect our children? At present, it is not enough– just to pass over the bullets. 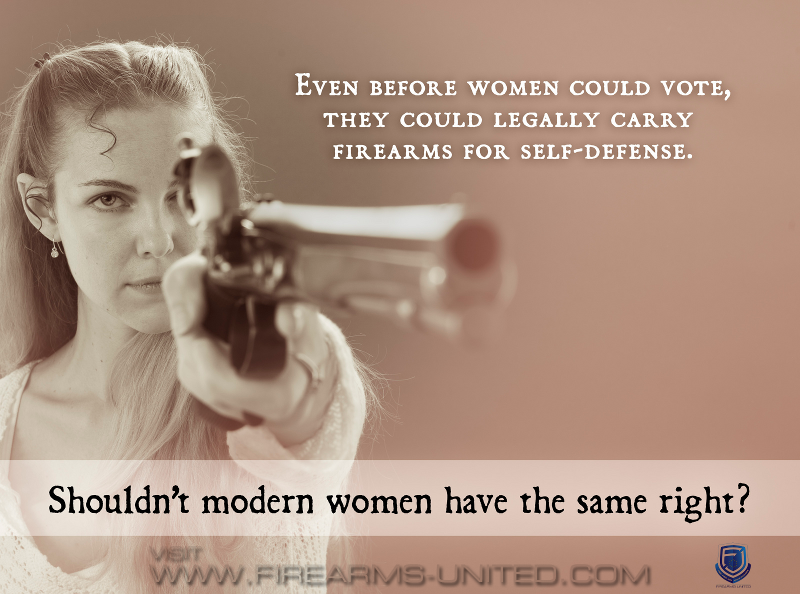 It is time to cover the back of your husband – with your own gun. I don’t really believe in police protection for they can only react to incidents after they happen, but I believe in a gun in my hands. This is my home, and who – but me – can protect it? Keeping the house? Yes! But keeping it not only with a clean floor and a tasty soup, but with a gun. There is war in our country, we have no other choices. This is a global change that must take place in the minds of Ukrainians – if you want to protect your children and your house, do not rely on someone, do it yourself!